The proper Apple TV isn't quite here yet, so why not watch TV on your existing Apple kit? There may not yet be an Apple-branded television set, but there are lots of ways in which you can watch TV today. On your Mac, you can fire up Safari and head to the website of one of the main TV channels. Each has a catch-up service that allows you to watch programmes broadcast in the last few weeks. And if you subscribe to Virgin Media or Sky, you can watch some of the channels from your subscription package on their websites. You can, of course, also plug a USB TV tuner into your Mac. These little gizmos allow you to receive Freeview TV channels over-the-air and watch them or record them on your Mac. You can even hook a TV tuner up to your network and watch it from different Macs in the house. If you have an iOS device, there are numerous apps that allow you to watch live or on-demand TV. Each of the TV networks has one, as does Sky and Virgin Media. The BBC iPlayer app allows you to download programmes to your device to watch later. There are also TV tuners available for iOS devices. 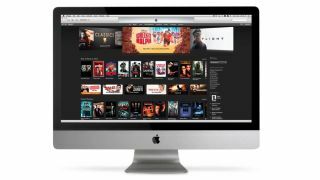 Finally, you can buy or rent TV programmes and movies from the iTunes Store. And if you sign up to LoveFilm or Netflix, you can watch their content on your Mac, on an iOS device, and in the case of Netflix, on an Apple TV. We'll look at all these options in detail over the next few pages, so get you watching whatever you want, wherever you want to! Missed that talent show you love? Don't panic! There isn't yet a single source of on-demand content, but accessing the services out there couldn't be easier. The BBC's iPlayer has dedicated apps for iOS and OS X, both of which allow you to download programmes and watch them later, albeit within a limited time period. The BBC, Channel 4, and ITV all allow you to watch live TV in a browser, though you'll need to register with Channel 4. Channel 5 has an on-demand service, but doesn't let you watch live TV output. All four terrestrial networks allow you to watch shows you may have missed when they were originally transmitted, but each handles them in a different way. BBC iPlayer's catch-up service only allows you to watch recent programmes. Channel 4 and 5 offer older content, in Channel 4's case, some of it several years old. And ITV Player, while mainly a catch-up service also offers on-demand programmes which it calls rentals. Many of these are free, but often at least one episode in a series will require you to pay for it. The BBC's iPlayer allows you to watch recently-broadcast TV, as well as the current output of any BBC channel. Both the Mac and iOS apps allow you to download selected programmes and these are available to watch for a month before they expire. You can also mirror the iPlayer from an iOS device to an Apple TV. Both the BBC and Channel 4 have YouTube channels on which they show full-length programmes. On the BBC channel, for example, you can watch every episode in the current series of The Apprentice. And YouTube, of course, is available in a browser on your Mac or as an Apple TV, iPad, iPhone or iPod touch app. ITV Player can be accessed in a browser, or from an iOS app. There's no Mac app, and you can't download programmes. In addition to allowing you to watch recently-broadcast TV, ITV Player has a library of on-demand content. Much of it is free to watch, albeit supported by adverts.